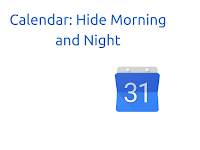 Google Calendar is a very useful productivity application that lets us schedule our events and meetings throughout the day. But really, how many of us have meetings or appointments at 3 in the morning? Not a lot I bet. It would be great if we could hide the times that we almost never have anything going on other than sleeping, right? Luckily, you can. 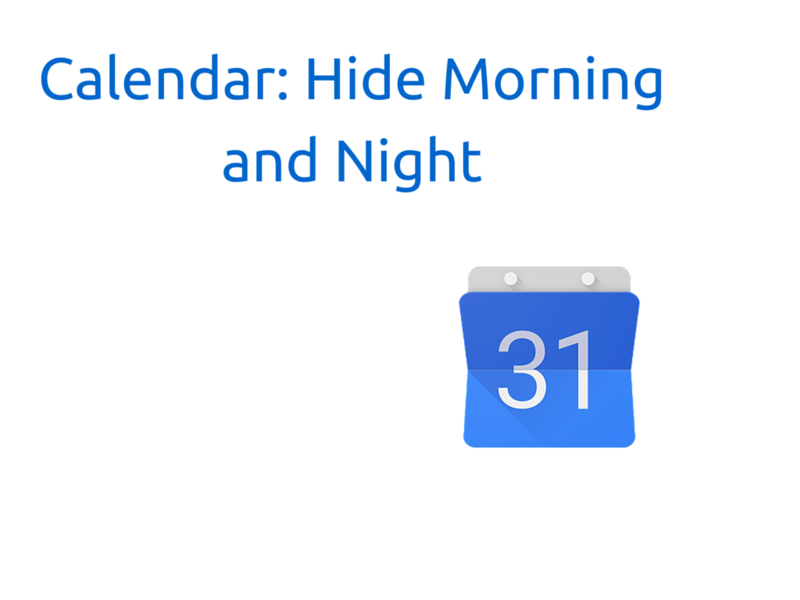 Please take a moment to watch the video for instructions on how to hide morning and night on your calendar. Thank you, I couldn't figure out how to do that and it was driving me crazy. thanks, even if awake I wouldn't be doing anything that needs a calendar. I've been trying for the last two days to get this feature to work, with no success. I'm trying to hide the hours 12AM to 7AM by dragging the "slider" thingy from 12AM to 7AM (it's showing a grey area). After this, I then click on the box which says "click to show 11AM to 12AM. When I do this,the 12AM to 7AM portion reappears! I know it's me that's screwing up, but I can't figure out what I'm doing wrong ! Can you PLEASE help? When you click on the section that is hidden, it shows the entire section that was hidden. thank you so much! this helped me! thank you so much - worked like a charm!